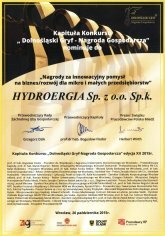 HydroErgia - Small hydro power plants; Kaplan turbines, construction , modernization, development and documentation. 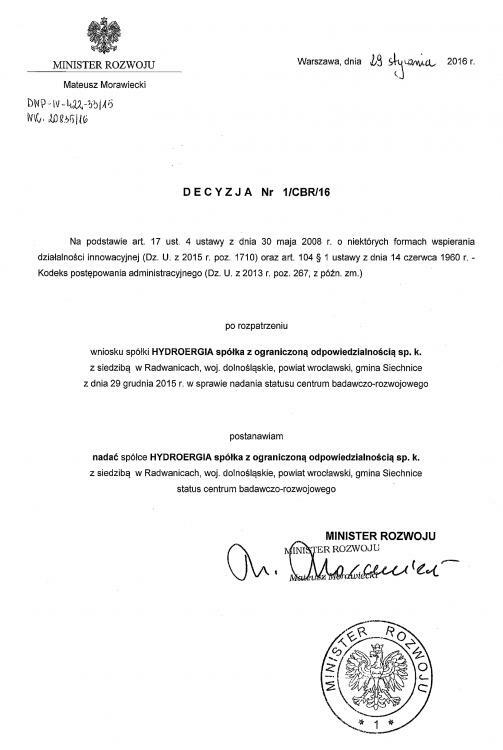 On 29.01.2016 The Ministry of Economic Development has granted the status of Research & Development Center. 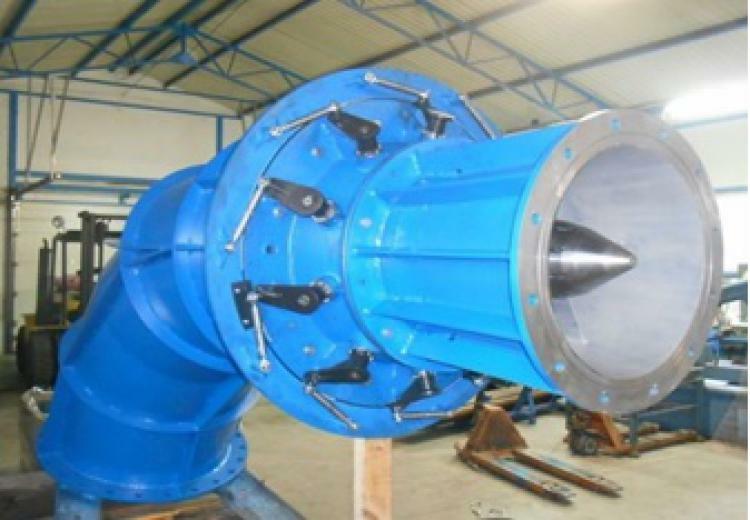 It is pleased to announce that the projects and performance of two Francis turbines with total power capacity 1,5 MW and S-type Kaplan turbine with power 65 kW are finished for italian company. 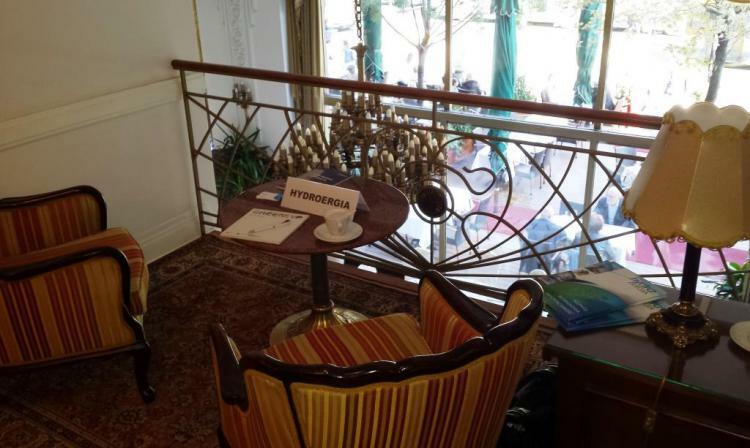 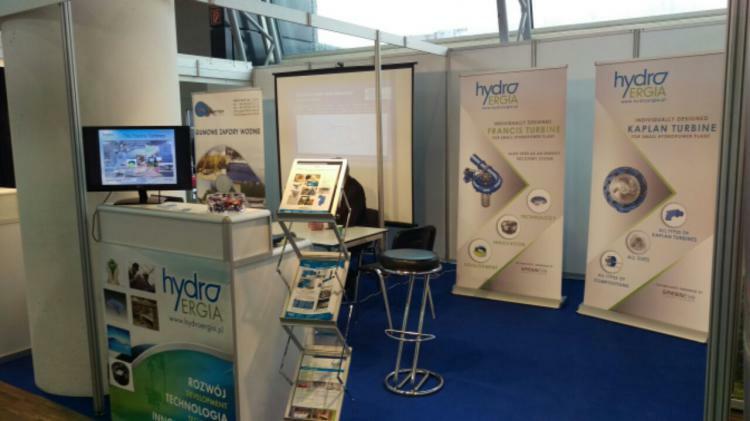 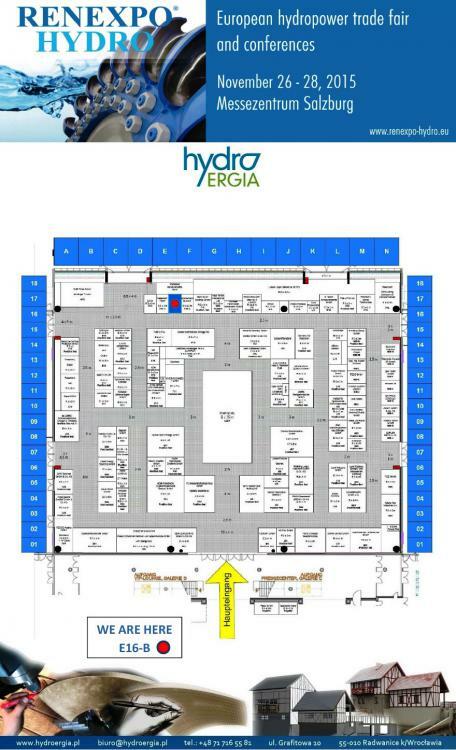 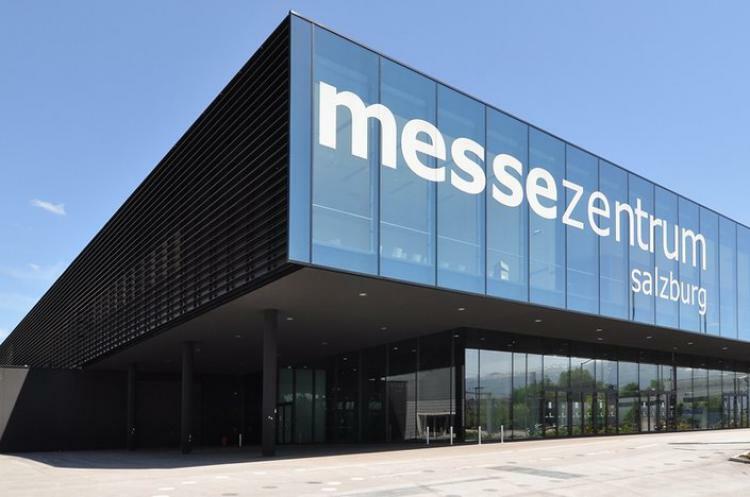 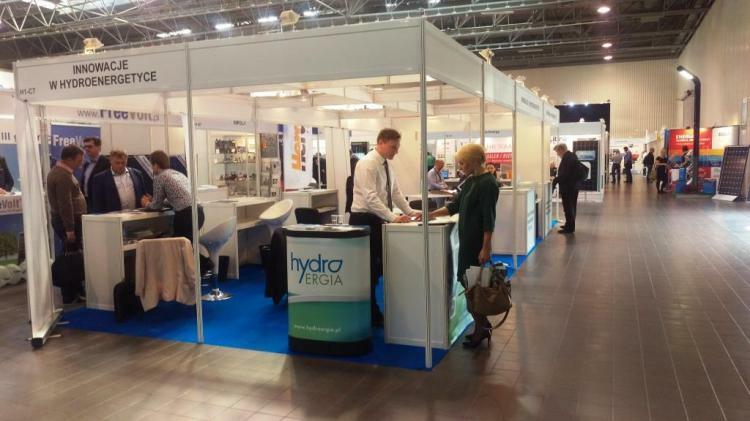 For the first time Hydroergia is present at the fairs RENEXPO HYDRO organized in Salzburg from 26th to 28th November 2015. 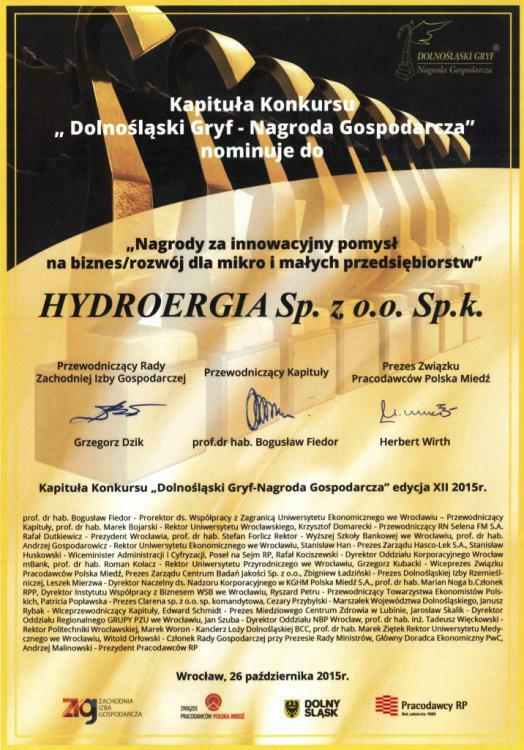 Hydroergia is the winner of the Lower Silesia Griffin in the category of the "Innovative business idea /development for micro and small enterprises"
Hydroergia was nominated for the "Award for the innovative business idea / development for micro and small enterprises"
Hydroergia spółka z ograniczoną odpowiedzialnością sp. 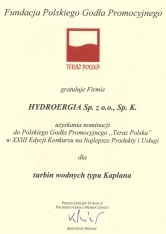 k. operates in the field of hydro power. 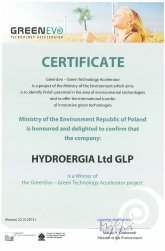 The company provides comprehensive services connected with hydro power construction, development and modernization. 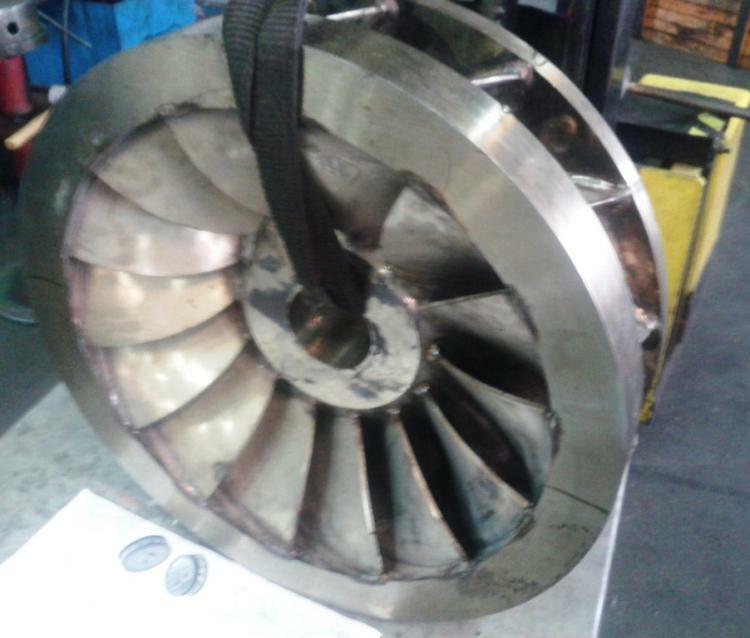 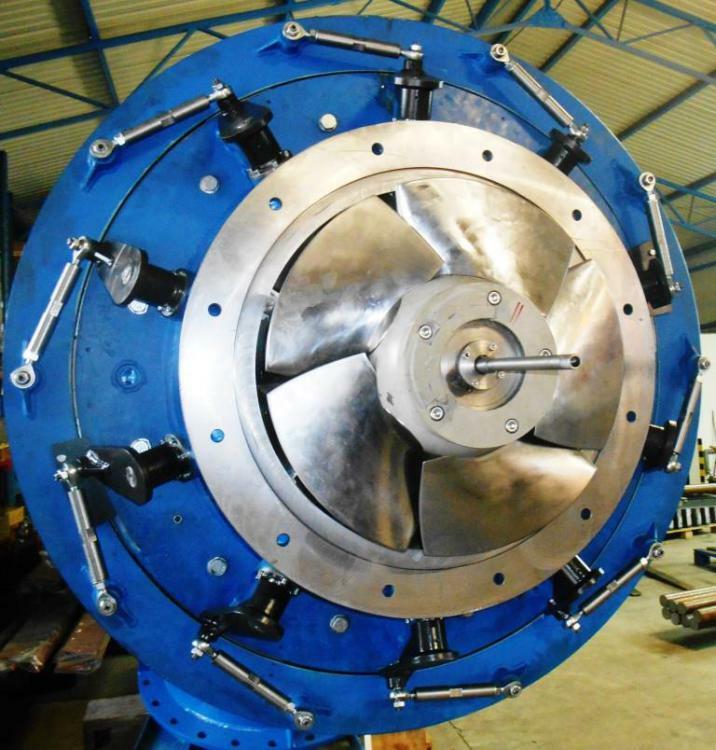 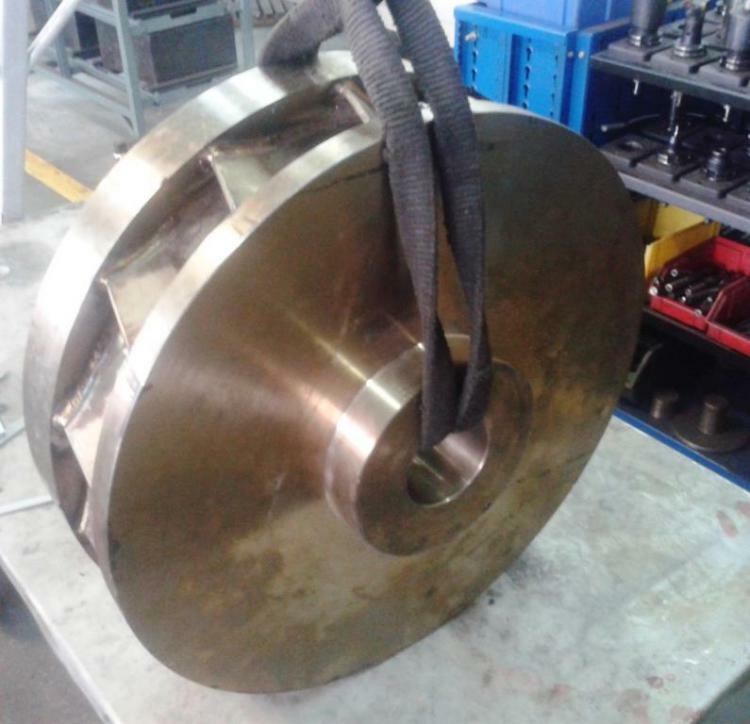 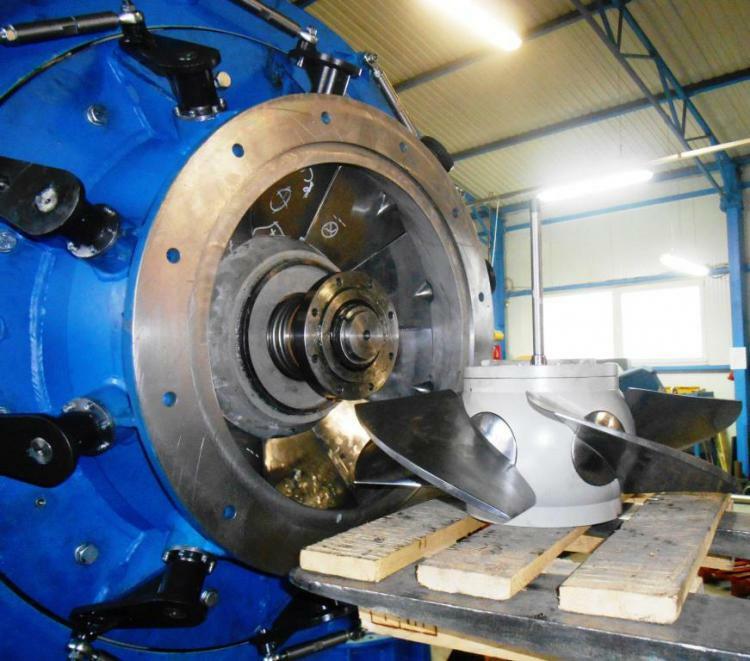 The range of services offered by the team of qualified experts commences with carrying out initial analysis of the possibilities of the construction of a hydro power, preparation of appropriate documentation necessary to obtain administrative permits and finally leads to the production of water turbines and hydro-technical equipment essential to run a turnkey power plant. 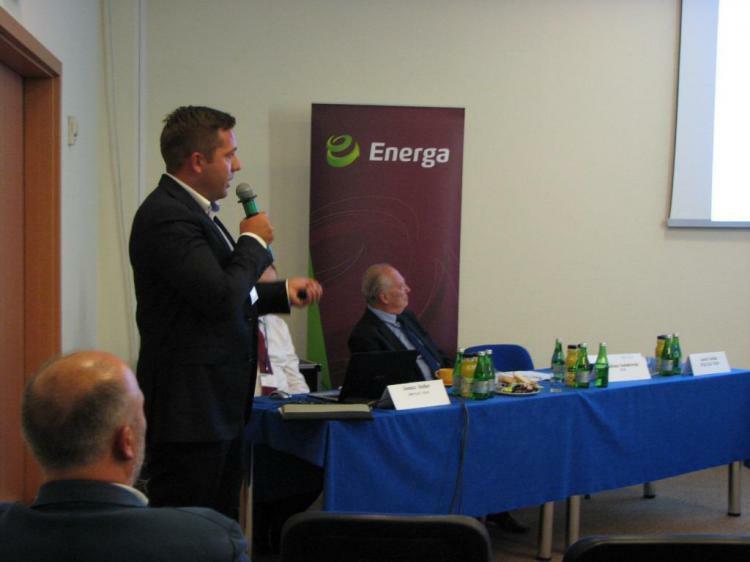 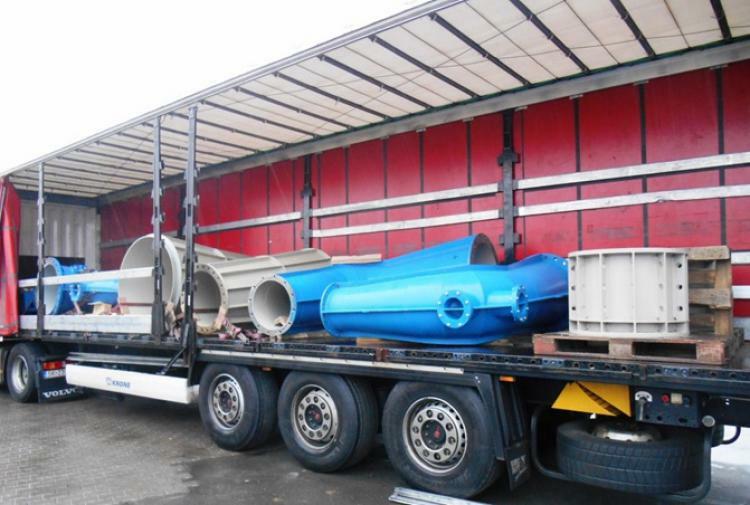 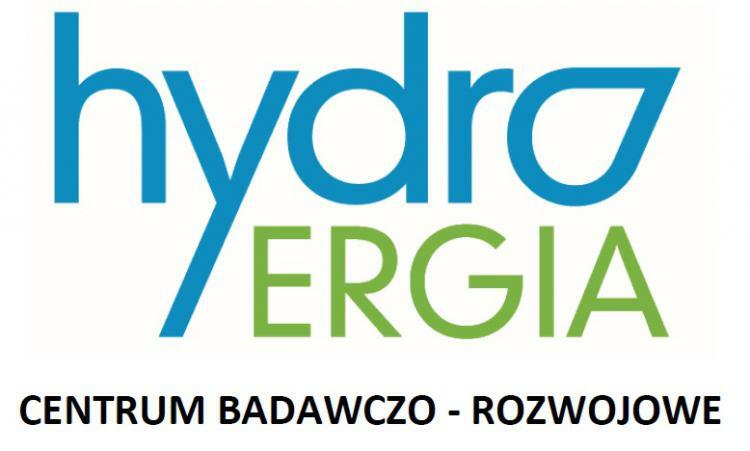 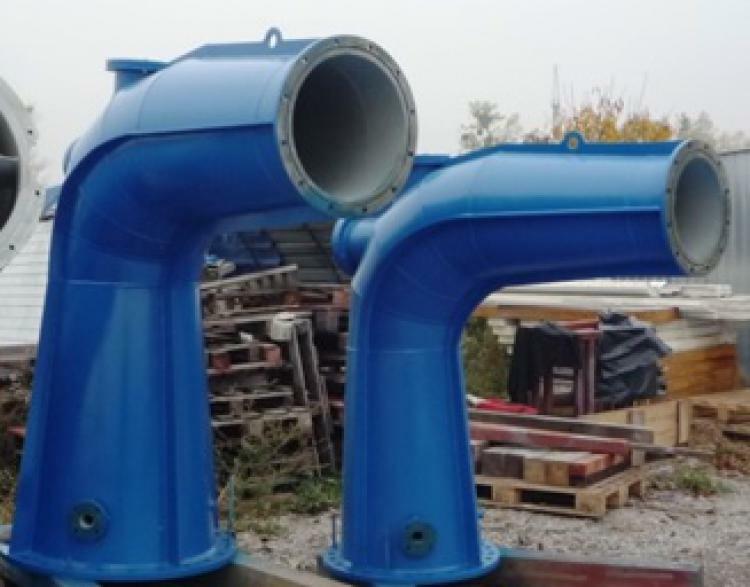 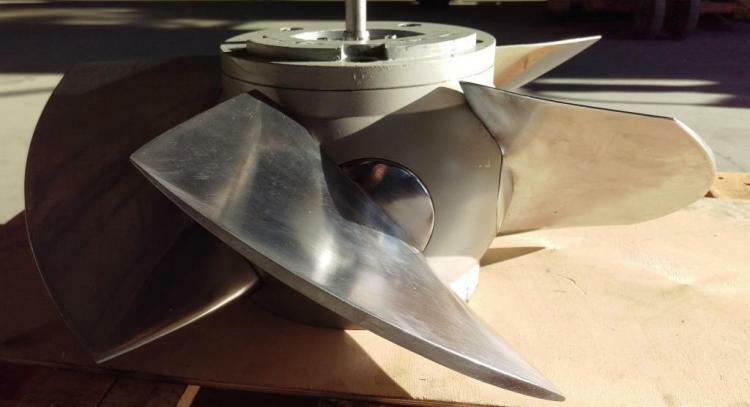 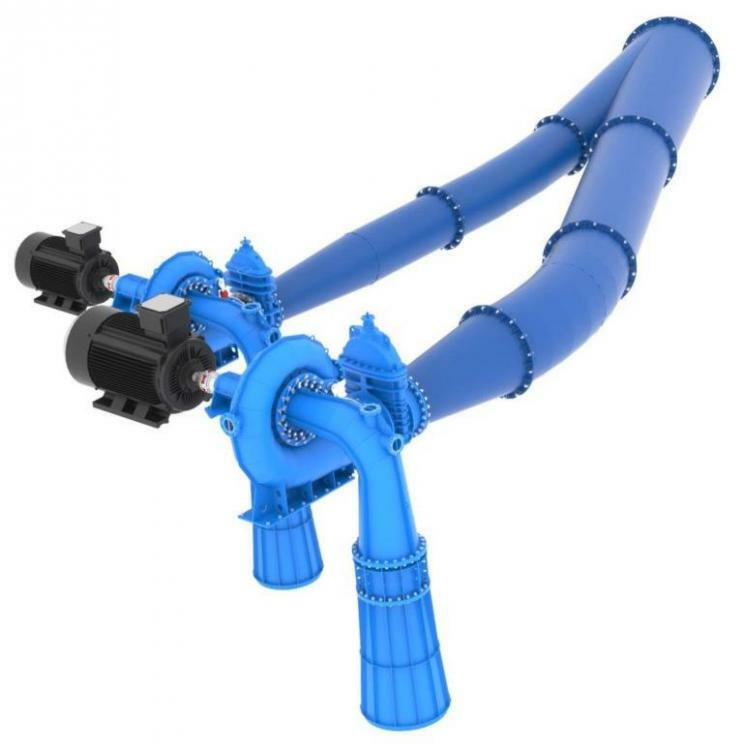 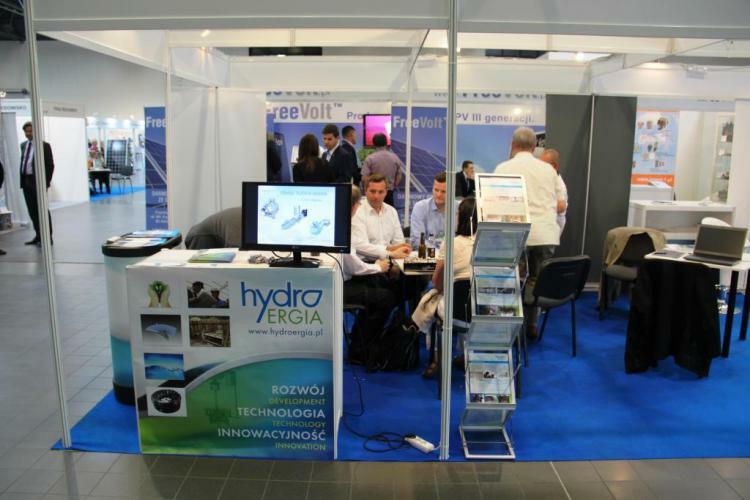 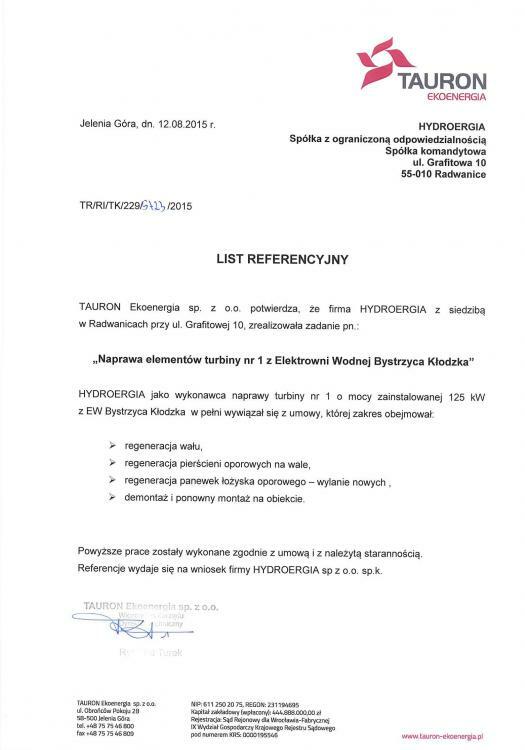 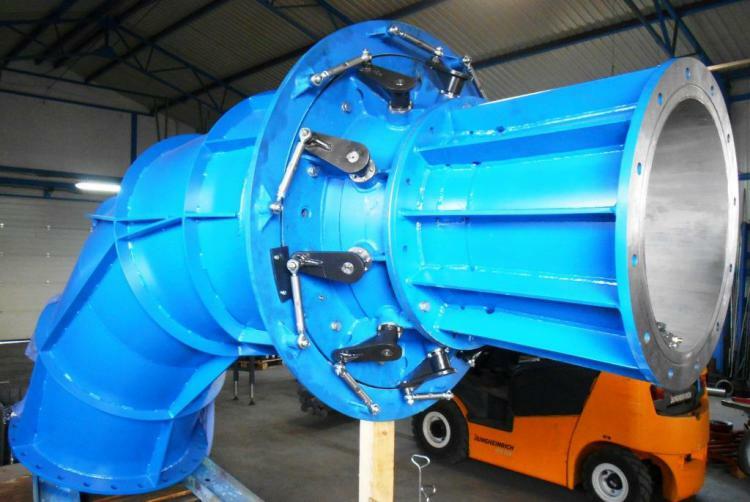 Hydroergia, as the only company in the Polish market, creates turbines individually designed for the local hydro parameters. 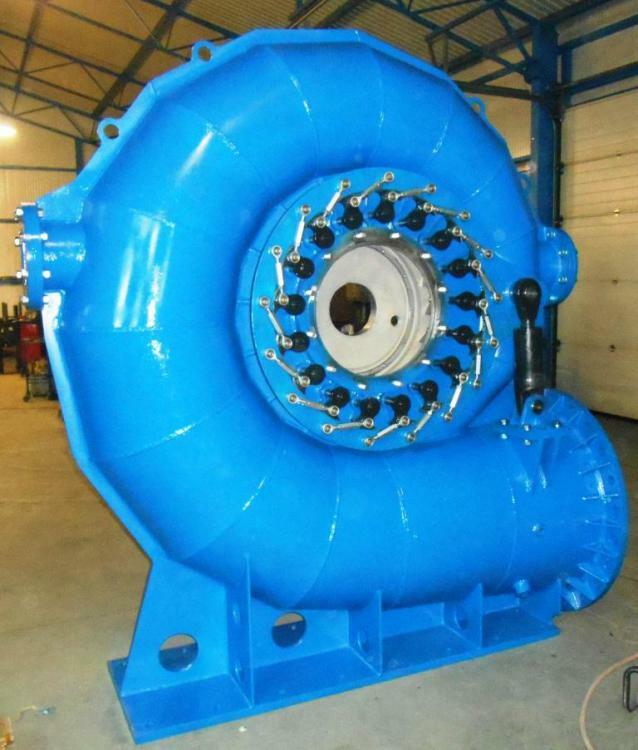 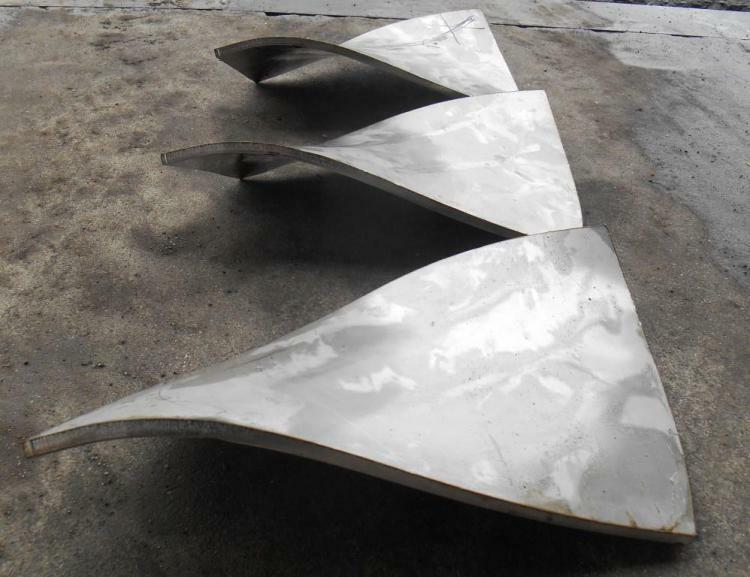 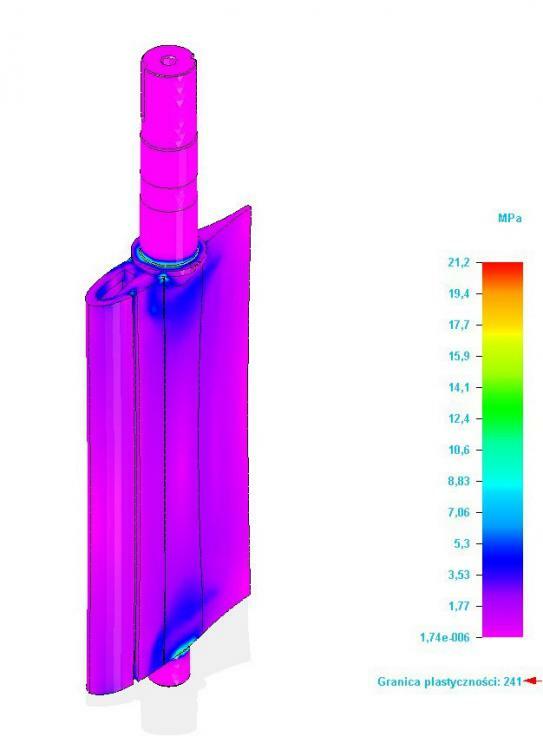 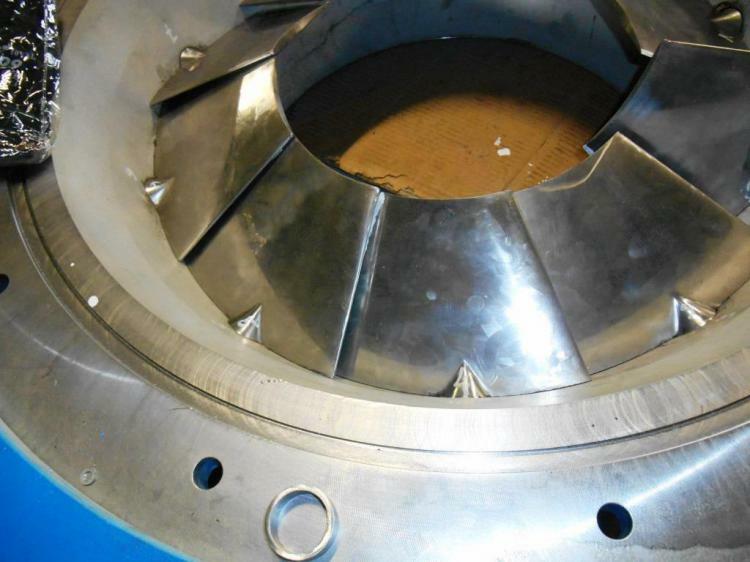 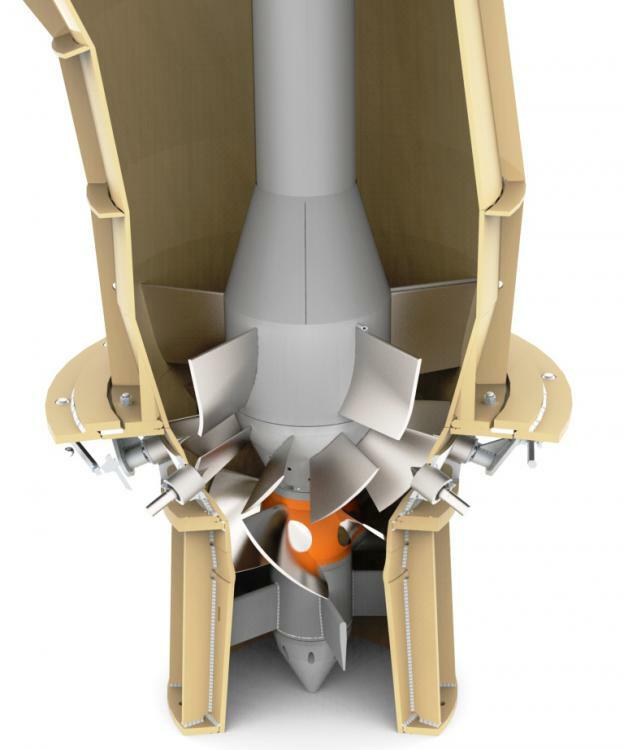 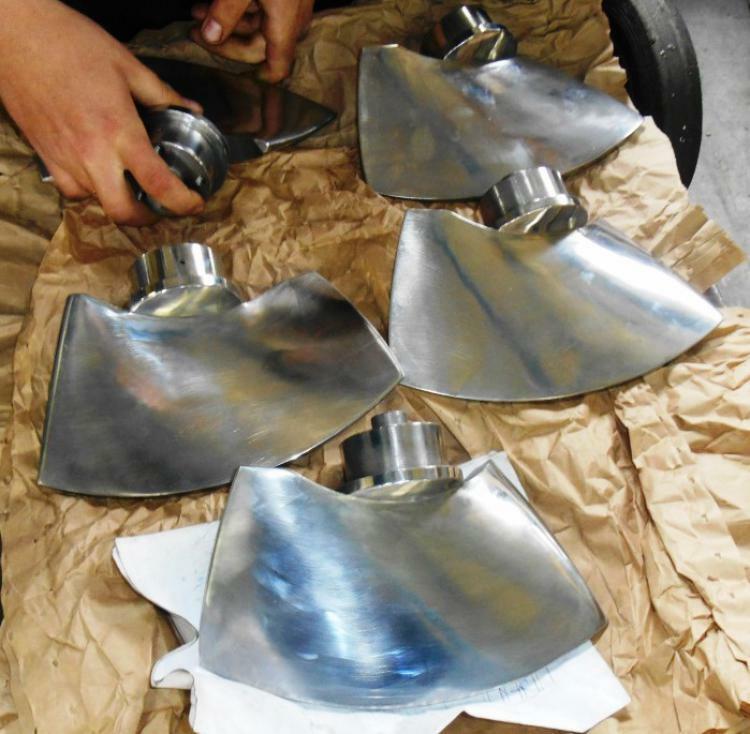 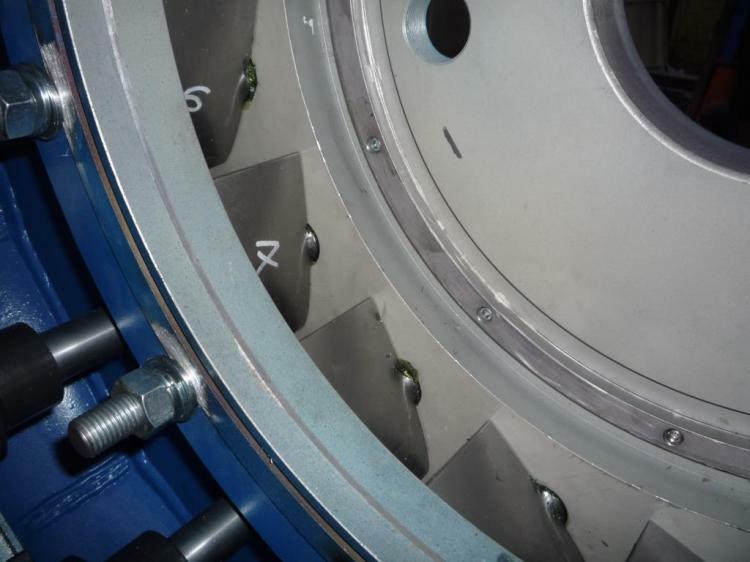 It allows the turbines to work with the maximum possible efficiency. 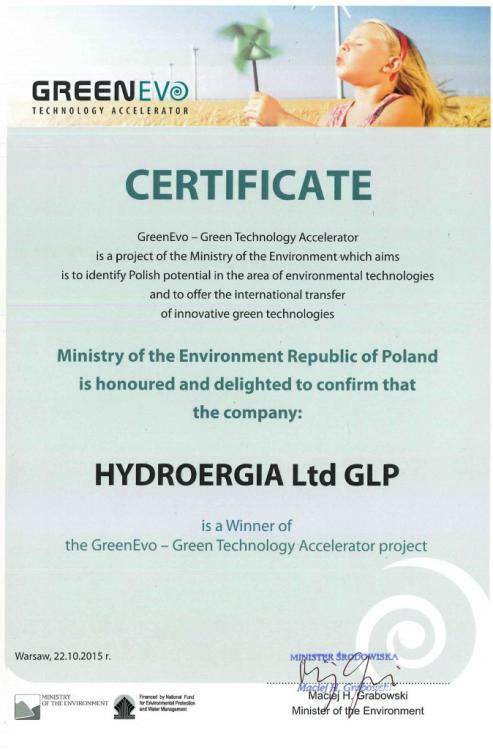 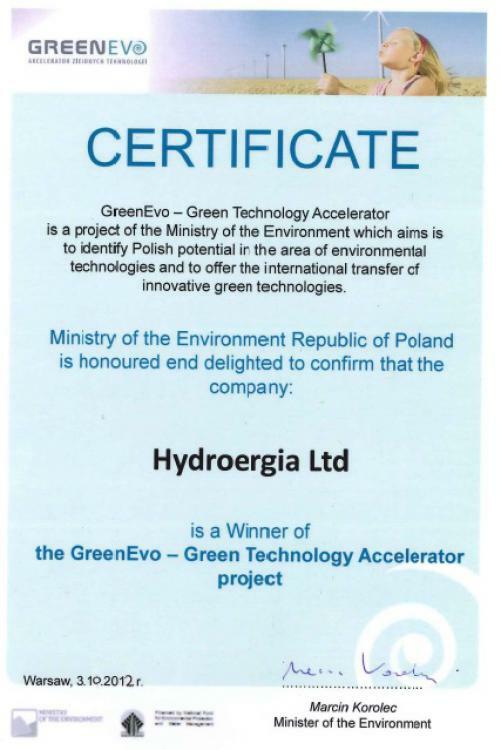 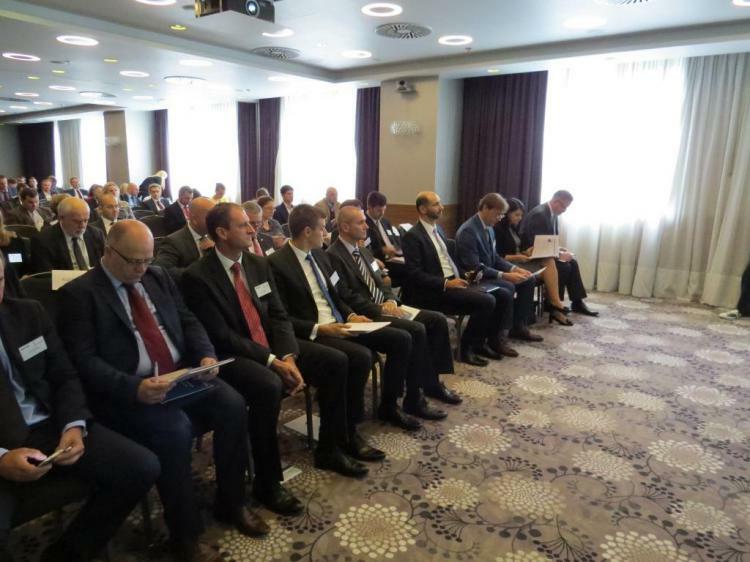 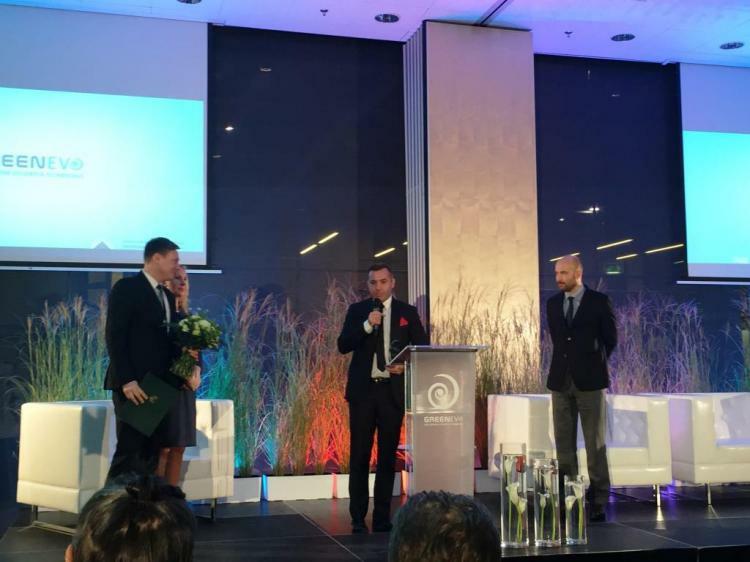 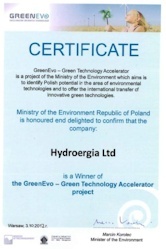 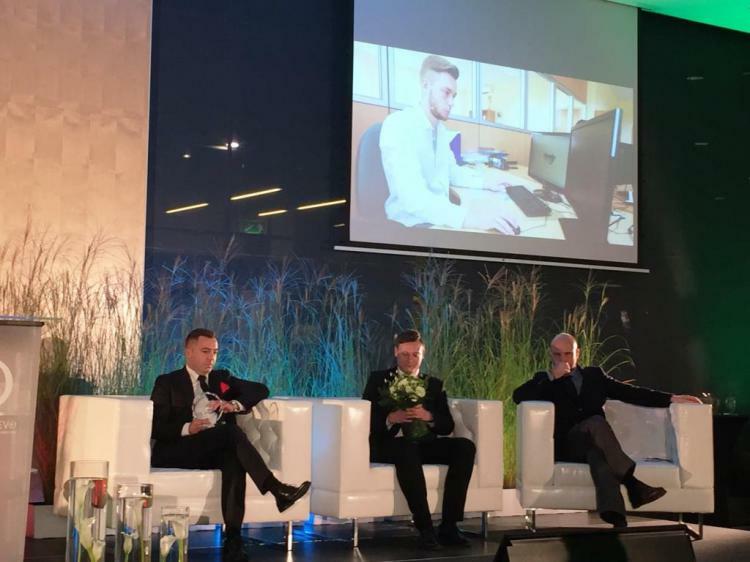 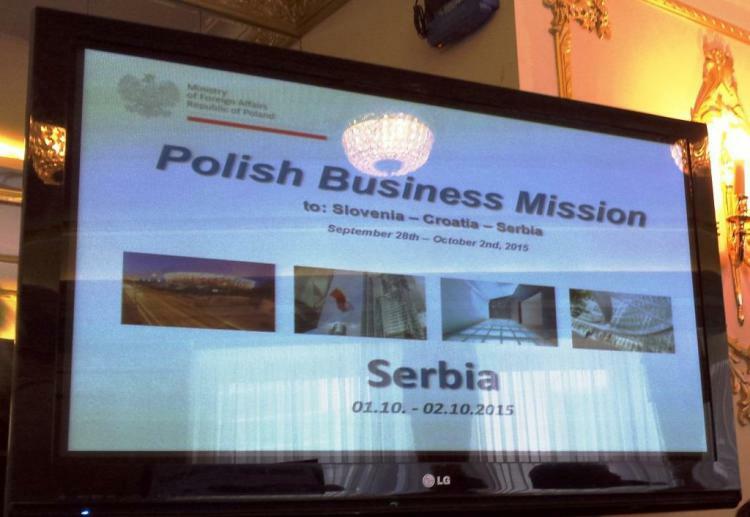 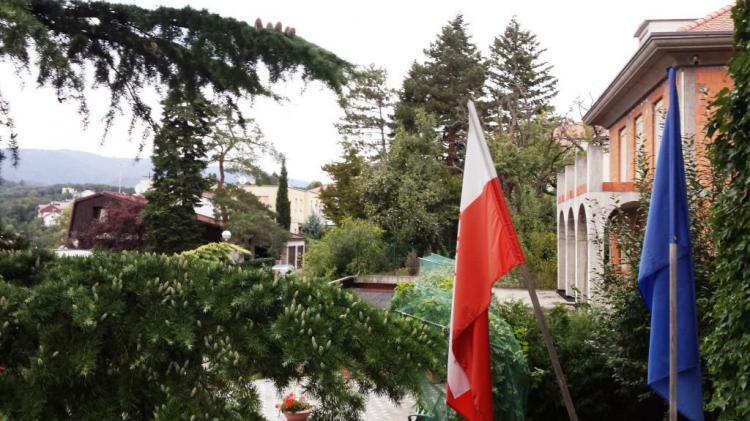 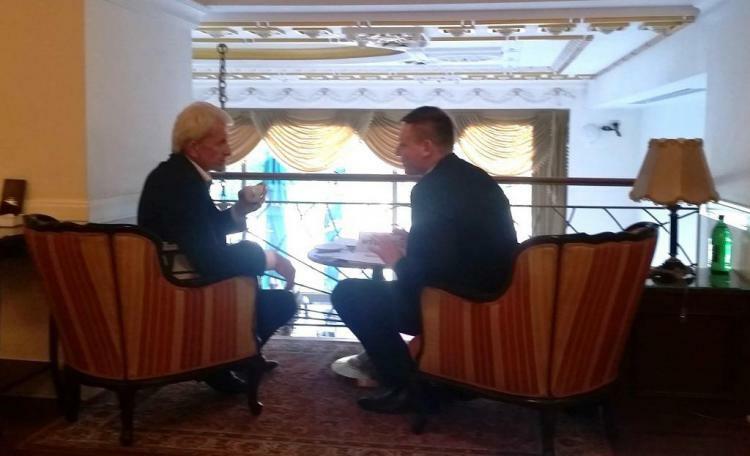 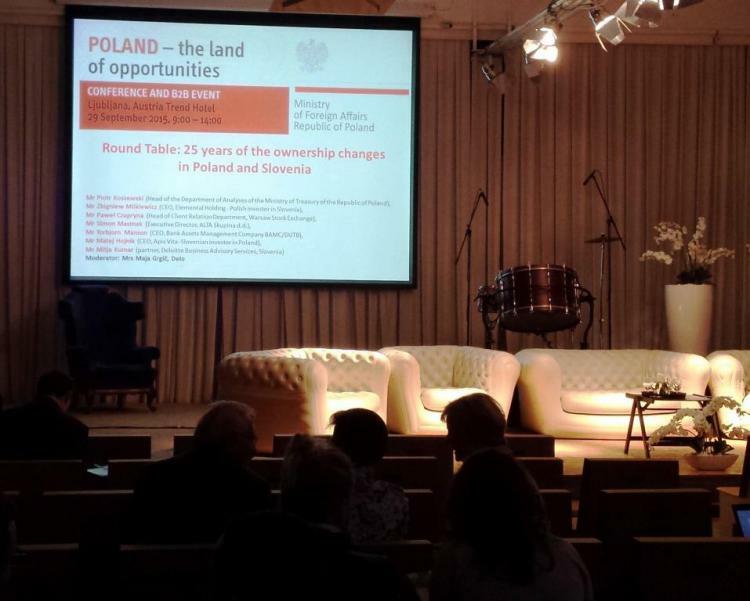 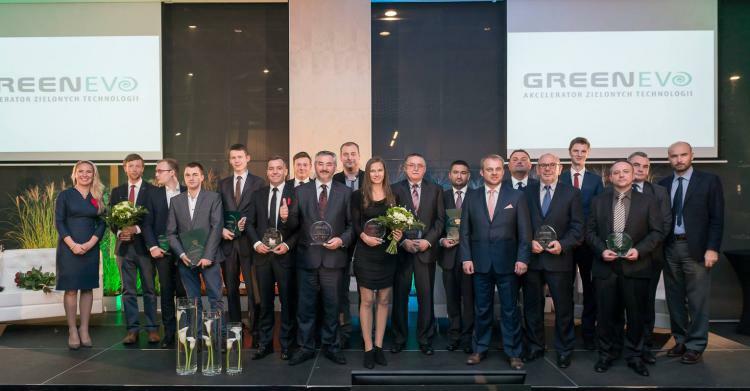 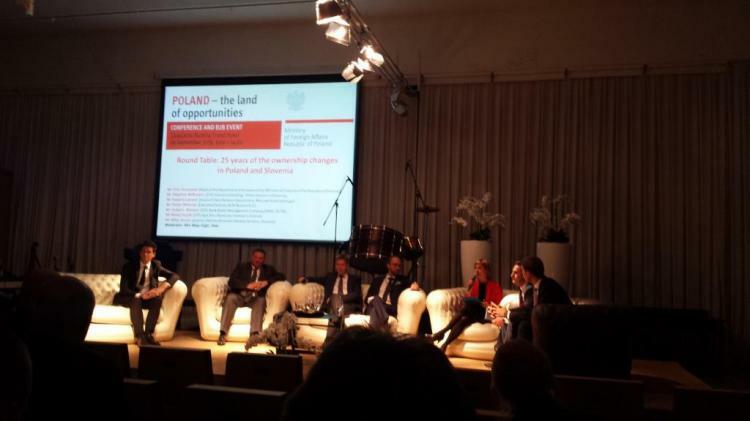 The innovative solutions have been appreciated in the prestigious GreenEvo - Green Technology Accelerator project funded by the Polish Ministry of Environment twice in 2012 and 2015. 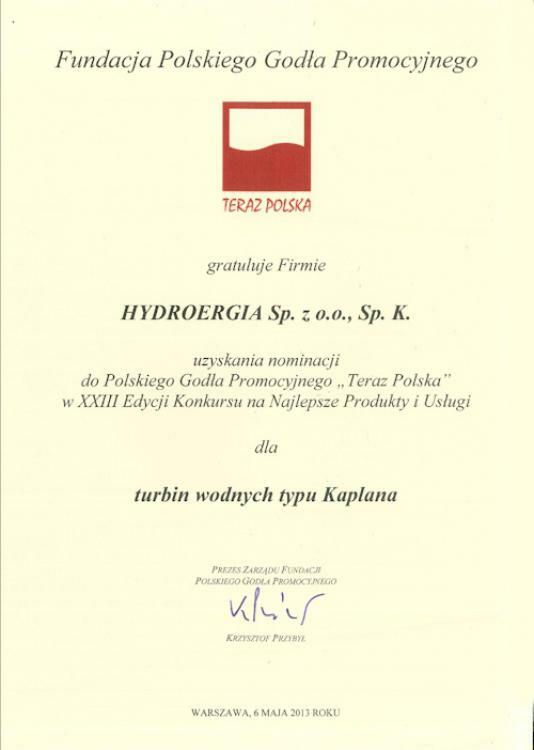 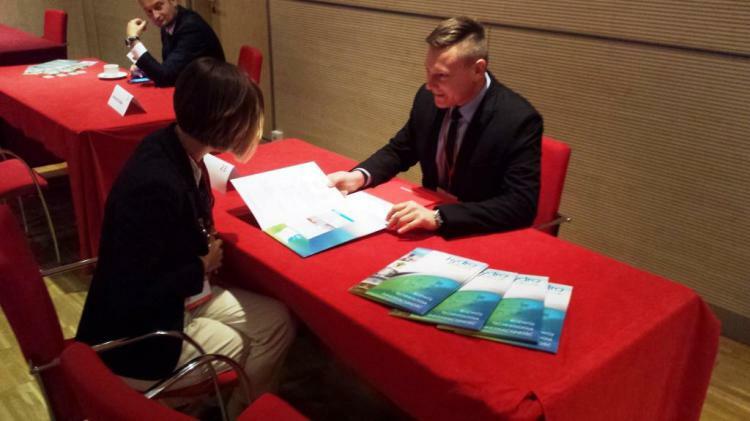 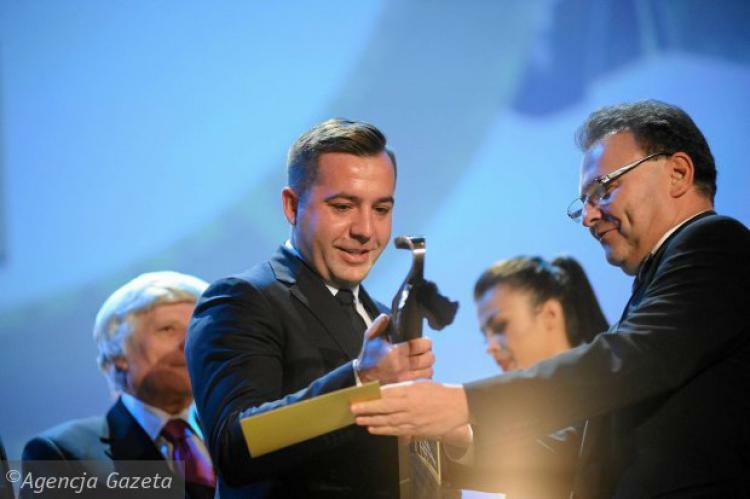 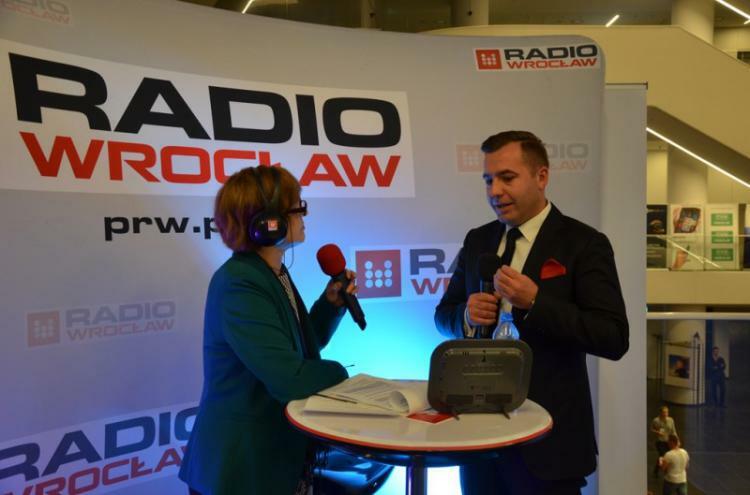 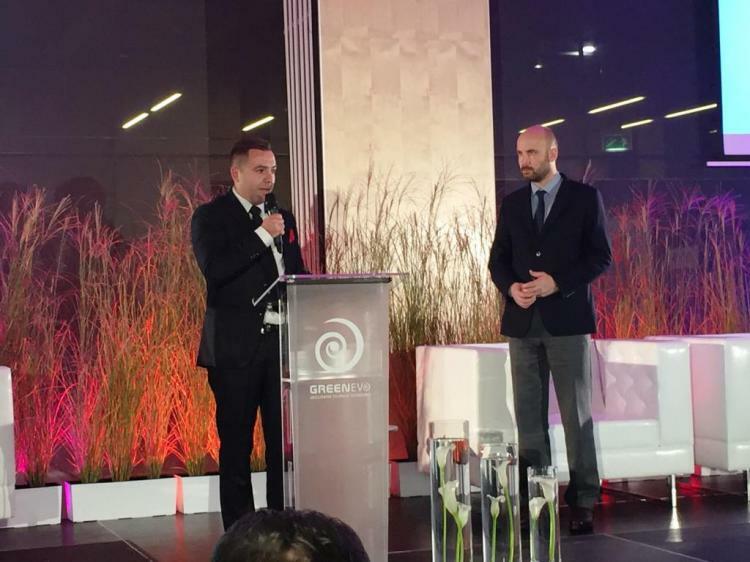 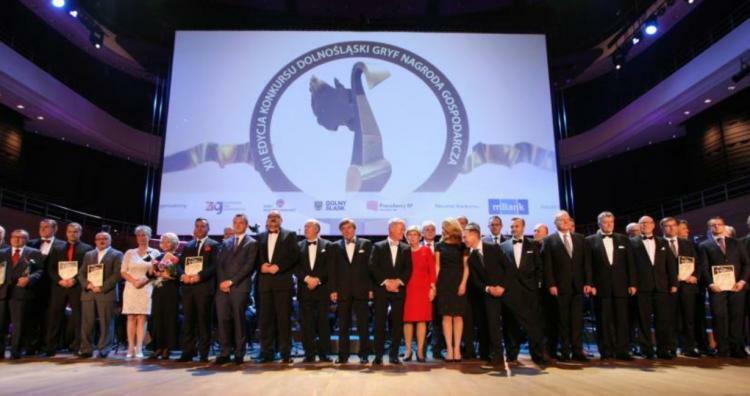 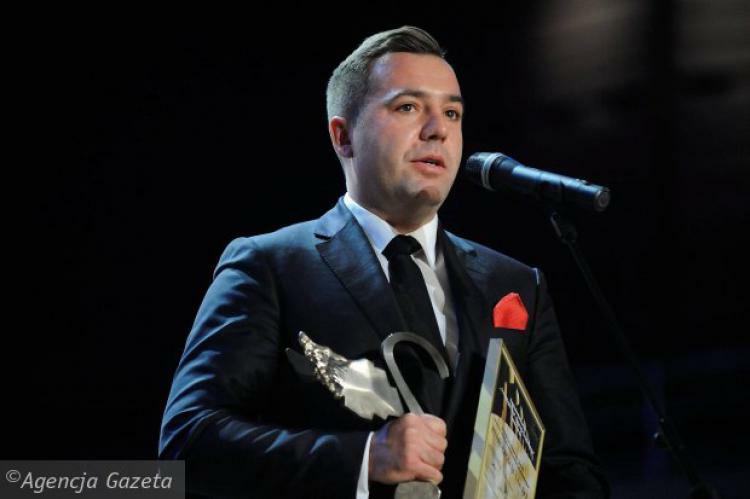 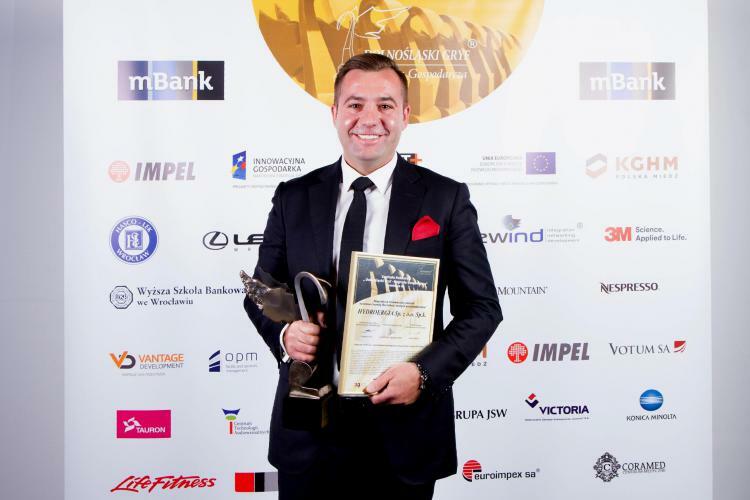 The company has also been nominated to the prestigious "Teraz Polska" Emblem and to the "Gryf Dolnośląski" award.